The European Union’s (EU) Member States are required to draft National Energy Efficiency Plans (NEEAPs) that report on adopted measures (or planned to be adopted) to implement the main elements of the Energy Efficiency Directive (EED, 2012/27/EU). All EU countries are required to achieve a certain amount of final energy savings over the period (01 January 2014 – 31 December 2020) by using energy efficiency obligations schemes or other targeted policy measures to drive energy efficiency improvements in households, industries and transport sectors. 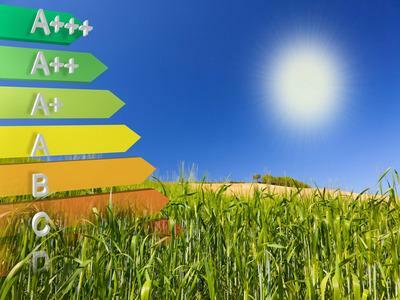 The Energy Efficiency Directive (EED) entered into force on the 4th December 2012 in order to establish a common framework of measures for energy efficiency within the EU. EED laid down specific rules to remove barriers in the energy market and to overcome certain market failures that impede energy efficiency. It also provides for the establishment of indicative national energy efficiency targets for 2020. All the EU-28 countries are urged to use energy more efficiently at all stages of the energy chain – from the transformation of energy, through its distribution until its final consumption. EED measures may also translate to significant energy savings for consumers. For instance, this directive proposed that consumers ought to access easy and free-of-charge data on their real-time (and historical) energy consumption to enable them to monitor their energy consumption patterns. Moreover, this directive also recommended that large enterprises should carry out an energy audit at least every four years, with the first energy assessment should be held before the 5th December 2015. It also suggested that SMEs could be incentivised to undergo energy audits to help them identify the potential for reduced energy consumption. As from the 1st January 2014, the directive advised the public sector to lead by example by renovating 3% of the buildings owned and occupied by the central governments and by including energy efficiency considerations in public procurement. EED has even set realistic deadlines for further improvements in energy efficiencies in energy generation, the monitoring of efficiency levels of new energy generation capacities, national assessments for co-generation and district heating potential and measures. It goes without saying that the requirements laid down in the EED directive are minimum requirements that do not prevent any Member State from maintaining or introducing more stringent measures. As from 2013, every member state have to report on the progress achieved towards national energy efficiency targets in accordance with Part 1 of Annex XIV.